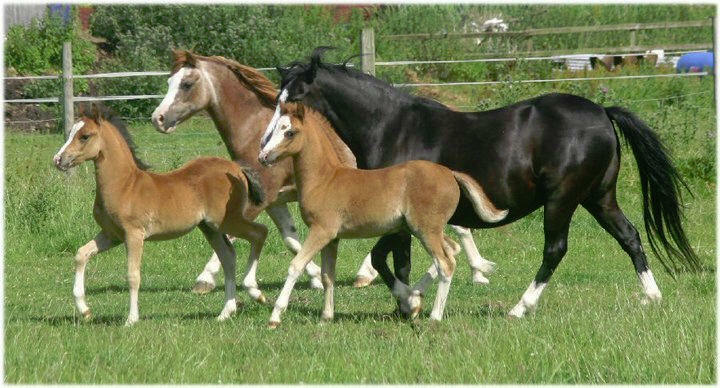 Runshaw Hedeg is a very classy colt foal by Churtoncroft Aries and out of Runshaw Hyfryd. Now sold and on his way to his new home the Tri Ef Ranch, USA. A really beautiful chestnut colt with 3 and a bit whites and a blaze from our lovely old girl Standwell Heidie and by Churtoncroft Aries, thus making him the full brother to Runshaw Heulwen and Hyderus! Born Diamond Jubilee weekend . A lovely red roan filly by Churtoncroft Aries and out Runshaw Heloise.